"Online gaming worlds" are beginning to muscle in on territory traditionally held by toy makers and media companies, as virtual environments vie for the 8-12 year old demographic in a "completely new way." The relationship between toy manufacturers, television networks and, more recently, videogame publishers is well known: Licensing deals abound as videogame properties are made into toys, toys are developed into cartoons and cartoons run endless advertisements for the toys and games that kids just have to have, until it's almost impossible to tell where one ends and the other begins, like some kind of magical marketing Ouroborus. But now those waters are being muddied a bit by companies that "have figured out how to capture the attention of the 8-12 year old child in a completely new way - through virtual worlds and online gaming experiences." 14 new virtual worlds aimed at kids between the ages of eight and 12 years were launched in 2008, according to M2 Research Analyst Louise Curcio, 70 percent of which were created by companies outside of the traditional "toy, entertainment or videogaming space." In 2009, a handful of those companies, like Sony and the Cartoon Network, launched virtual worlds based on their own existing brands, but the majority of the top-performing virtual worlds remain those developed by "small, independent companies." Those independents will face a tough challenge in the coming year from both toy and entertainment companies, according to Curcio, but the real wild card for 2010 will be the console manufacturers, particularly Nintendo, which could do some serious damage if it decides to wade into the fray. "Video game companies have an interesting challenge in protecting their existing console business, while at the same time participating in this growing kids market," she wrote. "The Xbox Live and the PlayStation Network have typically targeted the over 18 market, with the average player being close to 29 years of age and male." "The big question is what will Nintendo do?" she continued. 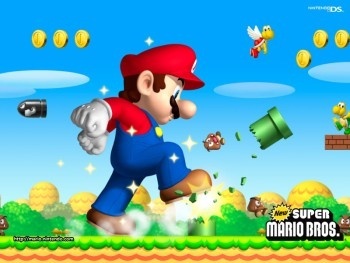 "The Mario series is one of the top video game franchises for boys 8-12. Will they go beyond the Wii Virtual Console and into the more immersive virtual world market with kids?" Nintendo already has the younger and more casual gamer demographic sewn up and thus far both Sony and Microsoft have seemed quite happy to let it go. And while a push into new markets is never without risk, it's hard to imagine a full-on virtual world based on Mario, Yoshi and the gang as anything but a sure-fire hit. It really only leaves two questions: Is this a move Nintendo is interested in making? And what will Sony and Microsoft do if it does?